Hello - I hope you're having a good start to the week! I've been searching & searching but I can't remember where I saw this tag first, but I wanted to do it because it's an excuse to talk about lots of different books and that's always a good thing! This is an easy one, J. K. Rowling! 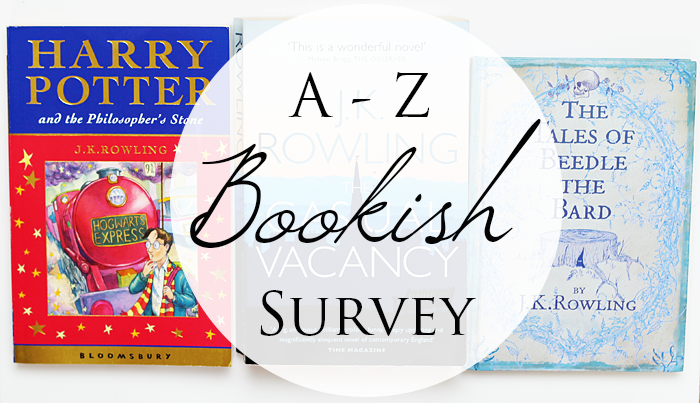 So many of these questions can be answered with one of the Harry Potter books but for some diversity I won't do that! I don't tend to read a lot of series, but I think the final book in the Chaos Walking Trilogy by Patrick Ness was pretty epic. 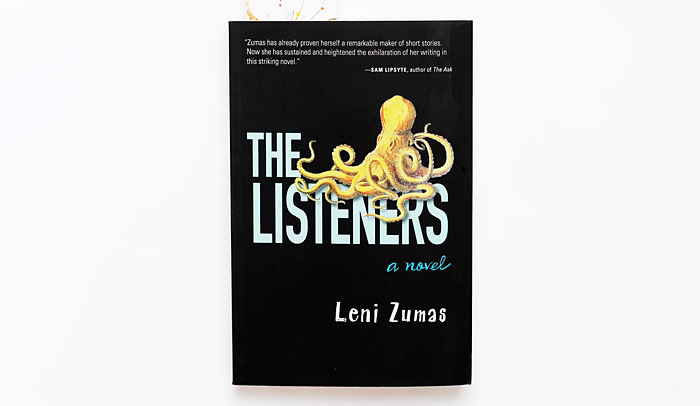 The Listeners by Leni Zumas. It's a little strange and I'm loving it. Oh anything, I can't say I'm fussy! Physical books will always have my heart. I've tried reading on an eReader but I couldn't get used to it. It's not the same without having real pages to turn. And the scent of a new book is unbeatable! If it weren't for my English Literature degree I probably wouldn't have read Rebecca by Daphne Du Maurier. For some reason I assumed it wouldn't be my kind of book, but oh my goodness I was so wrong! It's not really hidden, but Wonder by R. J. Palacio is pretty special. There are a couple that spring to mind, but the most recent would be last year when my University tutor completely inspired me with her enthusiasm and passion for books. I will be forever thankful to her. 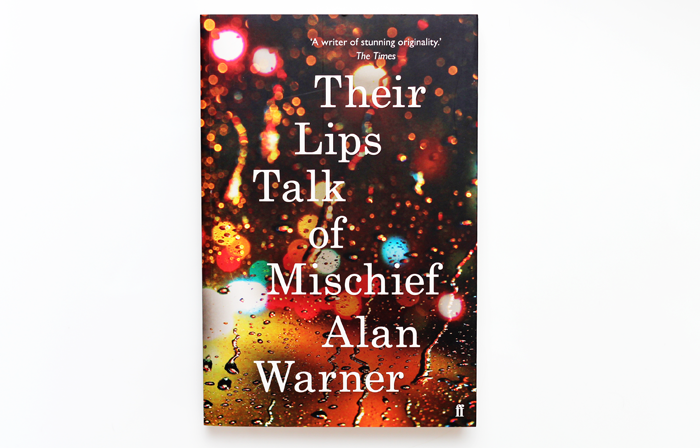 Their Lips Talk of Mischief by Alan Warner. So good for the first three quarters and then it kind of felt a little... muddled. I'll never say never, but I'm not a big fan of romance novels. 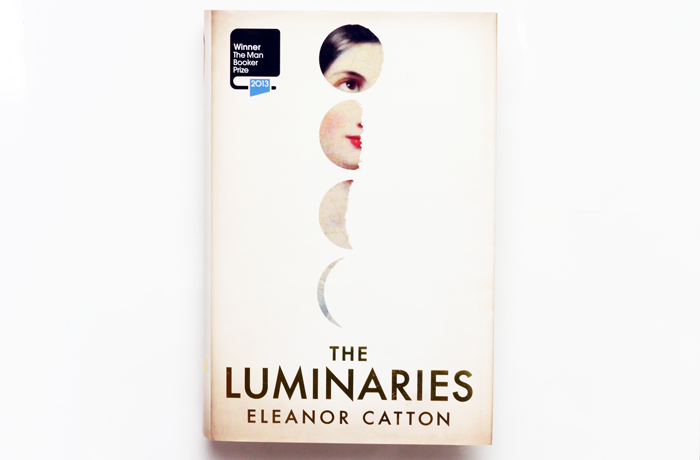 At eight hundred and thirty four pages it's The Luminaries by Eleanor Catton. The Luminaries again. I read it last month and I'm still not over it's how wonderful and accomplished it is. It's my favourite read of the year so far and I can't see anything topping it over the next couple of months. The Great Gatsby by F. Scott Fitzgerald. It's not my favourite novel, but there's something about it that lends itself amazingly well to re-reading. It seems to give more every time. 'A book...it's a world all on its own too. A world made of words, where you live for a while' - Patrick Ness, from More Than This. Those teenage years I've officially named 'The Lost Reading Years'. Seriously, what was I thinking?! All those books I could have been reading but nope, I was wasting time on Myspace and MSN! None! I'm really not a big series reader. Tom's Midnight Garden by Philippa Pearce, which I remember my Mother reading to me when I was really little. Harry Potter and the Prisoner of Azkaban, my favourite from the series. 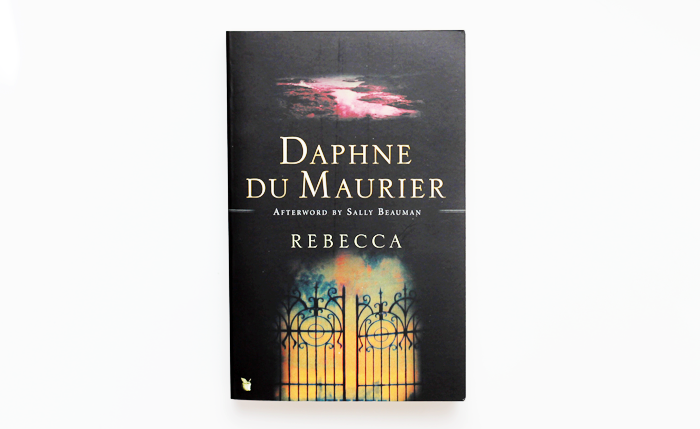 Rebecca by Daphne Du Maurier, one of my favourite reads this year. Allen Ginsberg's poetry. I'm exploring beat generation literature at the moment and it's fascinating. I'm not the best when it comes to keeping up with new releases. I was really looking forward to The Silkworm, it's been out for months now and I still haven't read it! I can get a little particular about my books and I'm not very good at lending them out! 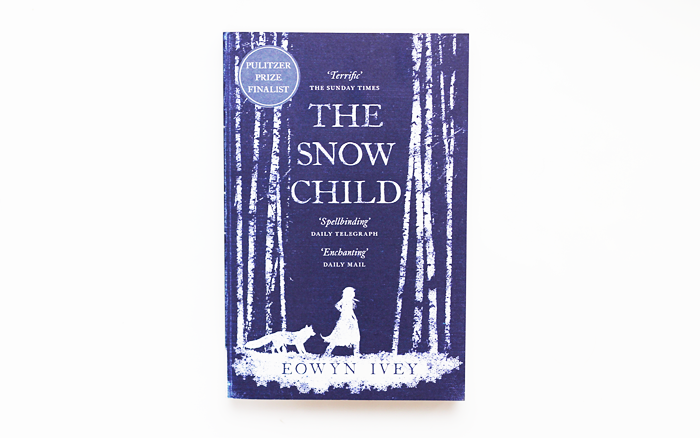 I shuffle things around on my bookshelves more often than is necessary but at the moment in the 27th spot is The Snow Child by Eowyn Ivey. It's a beautifully written book that is incredibly captivating, but the ending is a little disappointing. You can see the three newest additions to my bookshelf here. It's got to be The Luminaries again. Have I mentioned how much I loved that novel? I am also in love with Harry Potter! What an awesome tag, this has also provided plenty of book recommendations as well! I have an e-reader which I think is so practical but I've recently started to read paper books again and I love it. 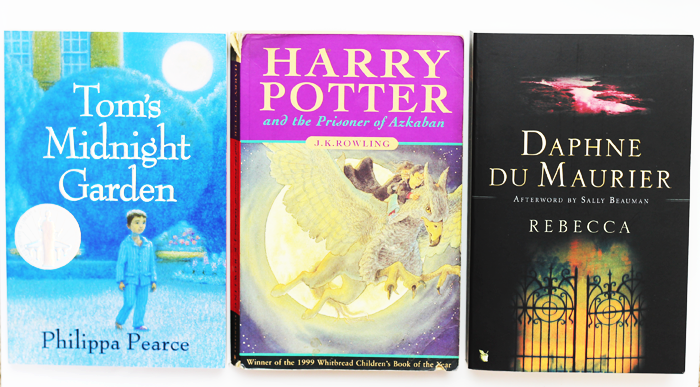 I think I've missed the pretty colourful front covers and the feel of a book in my hand. Such an awesome tag! I loved all your answers. It looks like I need to read The Luminaries!